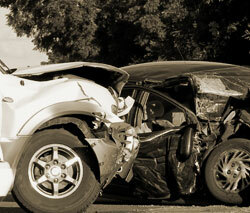 If you have been injured in a car accident, you may be contacted by the insurance adjuster of the other driver. To protect your interests, you should talk to an experienced personal injury lawyer before you say anything or sign anything. Otherwise, you could end up damaging your case. At The Hamzy Law Firm, LLC, in Bristol, Connecticut, our lawyers offer a free initial consultation to discuss your case. If you retain us to represent you, we will handle your car accident case on a contingency fee arrangement. This means that we collect our fees from the settlement or verdict we obtain from the insurance company. Few people understand the adversarial nature of the auto insurance business until it’s too late. Insurance adjusters are trained by their employers to get you to say things and to do things that will reduce the value of your claim. Even signing a simple release to allow the insurance company to see your medical records can be used against you. The insurance company will pore over your medical history, looking for a way to blame your injury on a pre-existing condition. If you accept a settlement, you will be barred from filing any additional claim if your injury turns out to be more serious than you first thought. Once you hire us to represent you in a car accident case, our attorneys will handle all communications with the insurance company. We will also assist you in your property damage claim at no charge. Our lawyers will deal with the legal, financial and insurance issues you face so you can concentrate on recovering your health. For more information or to speak to an experienced Bristol car accident attorney, please contact us online or by phone at 860-589-6525 to schedule an appointment.